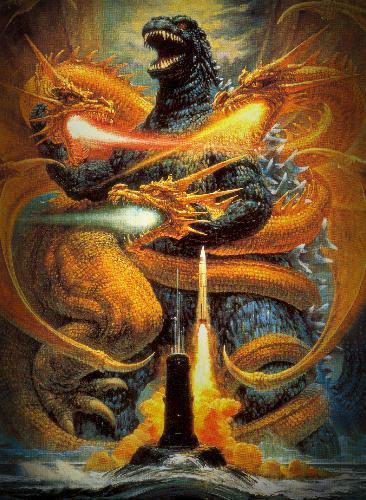 Godzilla vs. King Ghidorah. . Wallpaper and background images in the Godzilla club tagged: godzilla movies japanese king ghidorah. This Godzilla photo might contain 动漫, 漫画书, 漫画, 卡通, and 漫画卡通. are those nukes on the backround?